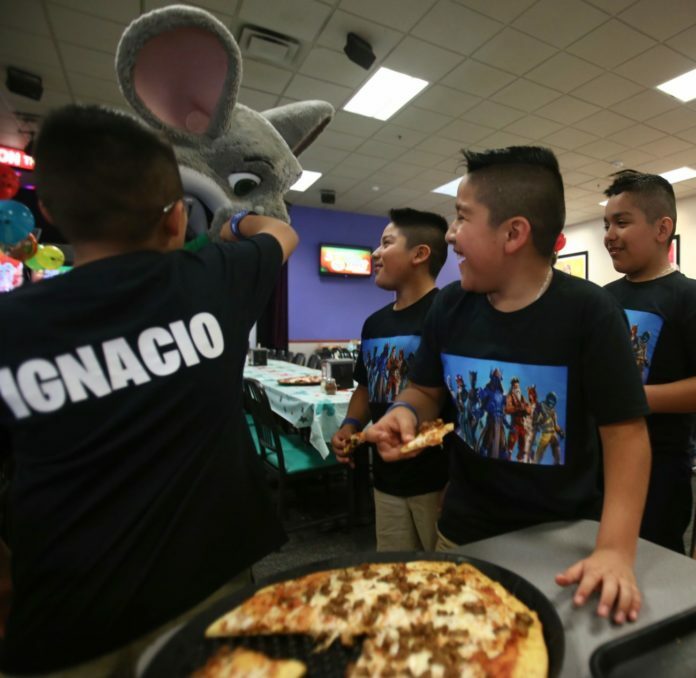 McALLEN — The Ramirez boys, 11-year-old quadruplets, race by flashing arcade games at Chuck E. Cheese’s for their birthday party Saturday. There’s never a dull moment with her sons, said mother Ester Ramirez. Ramirez was married for a decade before giving birth to Jesus, identical twins Adrian and Fabian, and Ignacio. The couple hoped for one child when opting for in vitro fertilization in San Antonio, but instead they were faced with having four boys. As the eldest child, she had fond memories of helping take care of her siblings. “I always thought I’d be a great parent,” she said. But at 35, Ramirez faced the reality of raising four boys. Reflecting on the last 11 years, Ramirez would have advised herself to exercise more patience, and not to forget her sons are individuals. “They all have very different personalities, considering they were born on the same day,” she said. Fabian is “the boss,” they said, and he wrangles the pack when doing chores. “This brothers respect him more … and so when it’s time to help me around the house, they ask him, ‘what do I do?’” she said. Adrian is the loudest and happiest. She described Ignacio as “an old man stuck in a little boy’s body,” able to talk for hours about what he’s read about “things a normal ten year old doesn’t know.” He’s also known for having a rebellious streak, they said. The brothers talked about how their individual traits cause clashes sometimes. “I guess it’s hard for me to divide myself amongst the four,” Ramirez said. Despite it admittedly not being easy, the boys said it’s nice to have companions who have so much in common. Ramirez said she’s strict, boys in bed by 8 p.m. on weeknights, up at 6 a.m., and church most Sundays. They take care of each other, like Ramirez cared for her brothers and sisters growing up. Ramirez and their father divorced about five years ago. He doesn’t live in town, but remains in their lives. The boys were Mission Regional Medical Center’s first quadruplet delivery since opening in 1953. “They’re a blessing, and it was worth everything that I waited for for 10 years,” she said.